OverviewPersona 3 Portable is an enhanced port of Persona 3 for PSP. New features include an additional female protagonist as well as certain gameplay adjustments introduced in Persona 4. Shin Megami Tensei: Persona 3 Portable is a port of Persona 3 FES to the PSP. It also adds the option to play as a female character, which changes many dialogue options and the user interface from blue to pink. However, due to the UMD discs not having enough space, some of the content (most notably the cutscences and The Answer, known as Episode Aegis in the Japanese release) had to be cut from this version of the game. 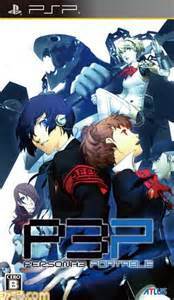 In Persona 3 Portable, you join a group known as the Specialized Extracurricular Execution Squad, known as SEES for short, a group dedicated to investigating and putting an end to the Dark Hour, a time period hidden between one day and the next. During the Dark Hour, things stop working and ordinary people turn into coffins. However, you and the rest of SEES are able to experience the Dark Hour because you have the ability known as Persona, which allows you to explore a labyrinthine known as Tartarus, a procedurally generated dungeon where you fight demons known as Shadows. Now you can add videos, screenshots, or other images (cover scans, disc scans, etc.) for Shin Megami Tensei - Persona 3 Portable (Japan) to Emuparadise. Do it now!